When it comes to workwear, update your wardrobe staples with a modern accent -- like a boyish sneaker and layering techniques. 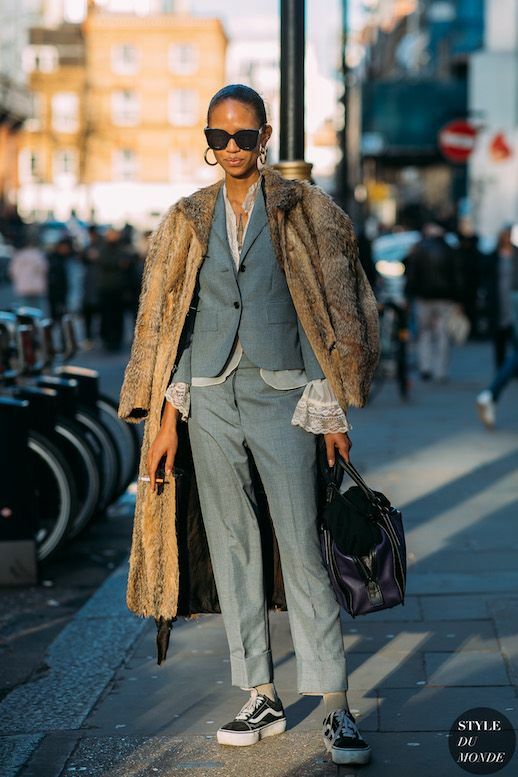 Spotted during London fashion week, this supermodel gave us a look to take us from the office to the streets. Add a long fur coat, and Vans, for the ultimate transitional ensemble.